We have a variety of tables in colours such as oak, cream and white. 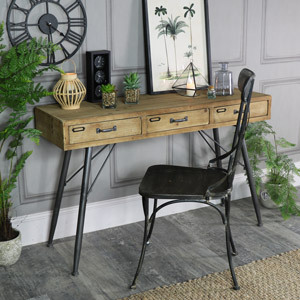 If you are looking for a traditional style desk then the Georgiano Table could be the one for you, It comes with drawers for storage and space for a chair, perfect for use as a writing desk in an office or bedroom. 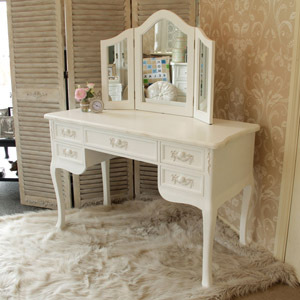 If cream is the colour for you take a look at our cream French style desks. 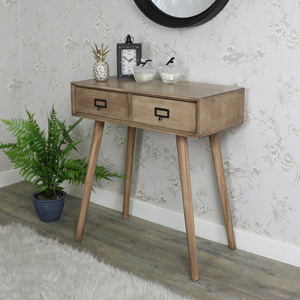 The Belfort and Cottage Cream tables would be ideal for your spare space or even to add that French feel to your office desk. 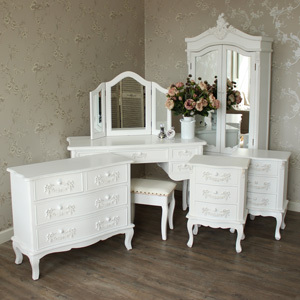 Our Cream Normandy range is a chic mixture of cream painted furniture with a unique mango wood top, this range is not for the faint hearted. Whichever you decide to choose we are sure not to disappoint.